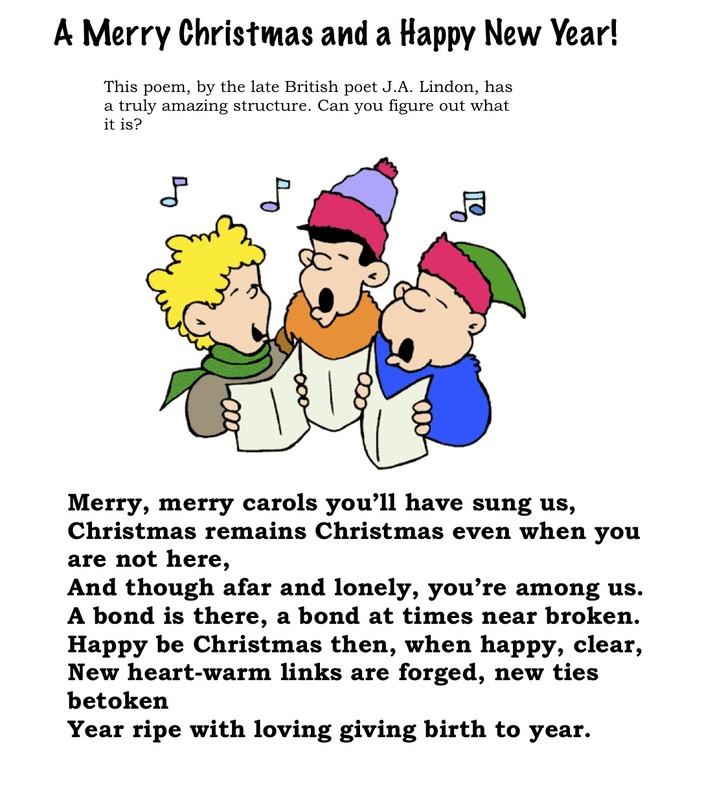 What's Special About This Holiday Poem?What's Special About This Holiday Poem? What’s Special About This Holiday Poem? Merry Christmas and a Happy New Year! 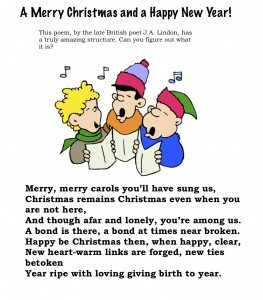 Read this holiday poem and see if you can figure out what is unique about the structure of it. The first word of each of the 7 lines repeats the title, Merry Christmas and a Happy New Year. In addition, this title is repeated diagonally! I.e. Merry (line 1, 2nd word) Christmas (line 2, 3rd word) and (3rd line, 4th word)… Can you believe that someone could construct a poem that does all this? He’s a lot smarter than I!